While many games in casinos carry with them a great deal of excitement, the majority of them share one tragic flaw (from the perspective of the player): the odds of victory are tilted towards the house. This means that no matter how hot you run, the gambler that keeps playing these games will inevitably lose all their money back to the dealer. Blackjack does contain elements that allow the player to shift the odds in their favor, but getting spotted doing these things by casino officials will get you barred from their establishments. Is there no hope for the risk-taking player with a big heart and a dream? There is, and it is typically located at the back of most casinos, past the quarter guzzling slot machines and the baccarat tables. In poker rooms across the country, there are wise card sharks using superior understanding of math, emotional control, and people reading skills to make an absolute killing at poker. All of the three elements mentioned are vital to becoming a solid profit-generating machine on the felt, but today’s article will focus on the last mentioned skill. Knowing when players are likely bluffing (representing that they have a hand that beats you) is integral for exploiting your opponents in the long run. Here’s a few tips that will get you snapping off their ten high overbet with ace king high in no time flat…! A widely observed psychological tenet states that during the construction of a falsehood, the rate of eye blinking goes way up. In a similar fashion, an amateur player attempting to tell a story with his chips that doesn’t match his actual holdings will result in a markedly faster rate of eye blink. Biting of lips, pumping of legs, and various fidgets like rubbing ones chin also are congruent with a person who’s nervous about getting called. 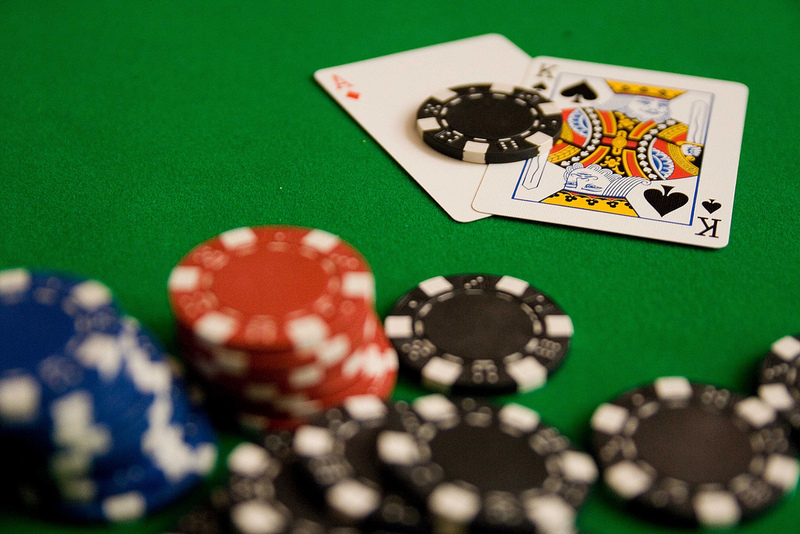 Recreational players often take an inverse relationship to their betting versus the strength of their hand. Often, when they bet small in relation to the size of the pot (or their stack), they are usually confident that they have the best hand (but they don’t want you to fold). When they decide to put their bluffing shoes on, they blast out a bet close to the size of the pot (and sometimes overpot bet by hilarious amounts) to project “strength”. Watch for these bets when it doesn’t seem consistent with their actions during the rest of the hand, as usually one that has a good hand will bet it prior to the river, or when an obvious draw misses. Some players treat poker as if it’s war. The crux of their game is to take down a bunch of small pots without seeing a showdown. In essence, their game is built on bluffing. By taking the betting initiative constantly, meeker players fold often incorrectly, as it is only possible to flop a pair (any pair) 28% of the time. If someone is betting almost every time when checked to, making a stand with any pair (or even Ace high!) can be profitable in the long run. As you can see through this detailed analysis of common bluffing tendencies and situations, it is wholly possible to make a tidy profit from poker from exploiting opponents who love to fleece their compatriots with frequent outlandish wagers. There are other ways to make money from other player types, but those are topics best saved for future articles! There you go, how to tell if someone is bluffing in poker!